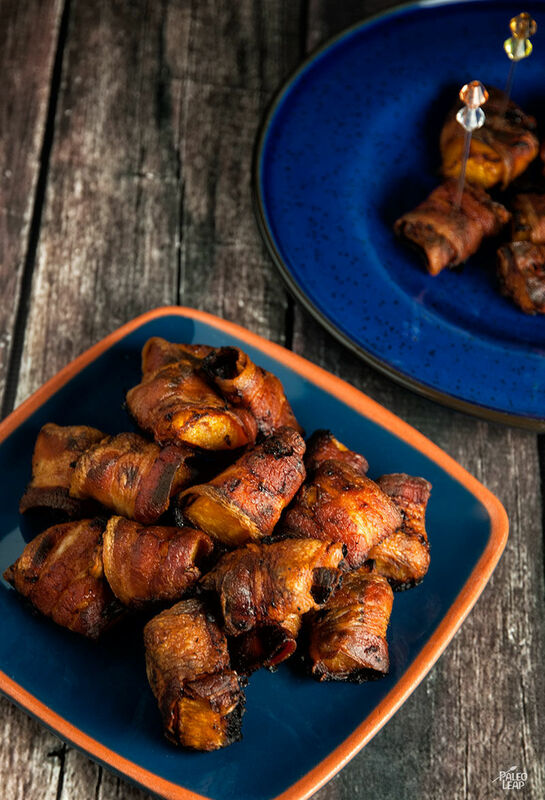 Crispy browned bacon and sweet, caramelized squash make for delicious little bites of flavor – if you’ve ever tried bacon-wrapped dates, these are a little similar but with a much lower sugar content. Paprika and chili powder give them a nice hint of heat to balance out the richness: bet you can’t eat just one! The size and shape of the bites suggests an appetizer, but they’d also be great tossed on top of a winter salad (maybe with spinach, red onion, and walnuts?) as a much tastier and healthier alternative to croutons. You could even serve them with a filling soup to make a light meal. As it’s written, this recipe can easily be modified to be low in FODMAPs (just take out the garlic) or even autoimmune-friendly (take out the chili powder and paprika). The flavor will be a little different either way, but the combination of bacon and squash is still delicious. And more cooking tip: if you’re having trouble getting the bacon to stay wrapped around the squash, just use a toothpick in each bite to skewer it all in place. And as a bonus, it’s a built-in “handle” to avoid any mess once you take them out to eat. SERVES: 4 PREP: 15 min. COOK: 40 min. Place the squash in a bowl and sprinkle with chili powder, garlic powder, paprika, and black pepper. 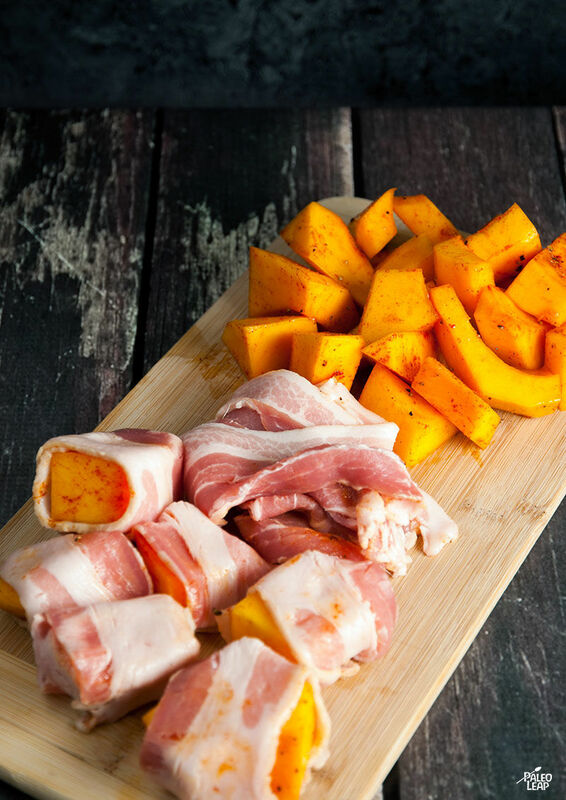 Wrap bacon slices around the squash cubes and place on a baking sheet. Place in the preheated oven and bake for 20 minutes. Flip the bites over and bake for another 20 minutes. Set the oven to broil for 2 to 3 minutes if you like your bacon crunchier.